Just had to share a pic of these mini pancakes which have to be the cutest littles things I have ever seen. My mom picked these up for me from one of our local bakeries, Paris Baguette. They were just as good as they looked! I love these! 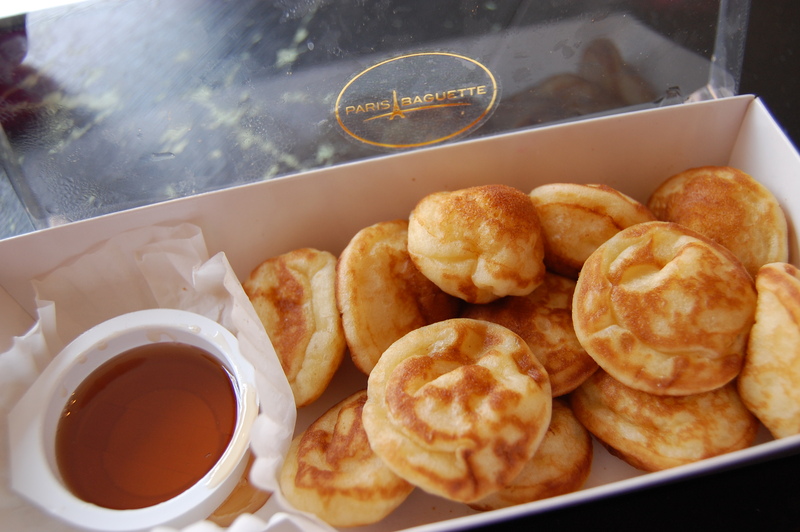 In Holland they’re called “Poffertjes”, how sweet! OMG! I want to eat some now too! SUPER cute! I think you may be a new favorite blog of mine! I actually have a pan specifically to make these types of pancakes! They are amazing! They are perfect for stuffing with berries and such! I have to get one of those pans! I just love mini pancakes.